I have a tendency to get really passionate about things. I also have a tendency to be easily distracted. Combine these two tendencies and you’ve got a short stack of unfinished ideas and half-baked ventures. Thus, this new series on my blog, Abandoned Projects. Papercraft is nothing new to the internet, and Paperbot was my foray into the subject about two years ago. Unlike traditional models that use glue to assemble, I was fascinated by structures that could “self-enclose,” as I termed it, things that only needed themselves to stay together. Thus, my Paperbot had way more sides than it really needed. I figured out a way to have all the joints also be made out of paper using a hole puncher. 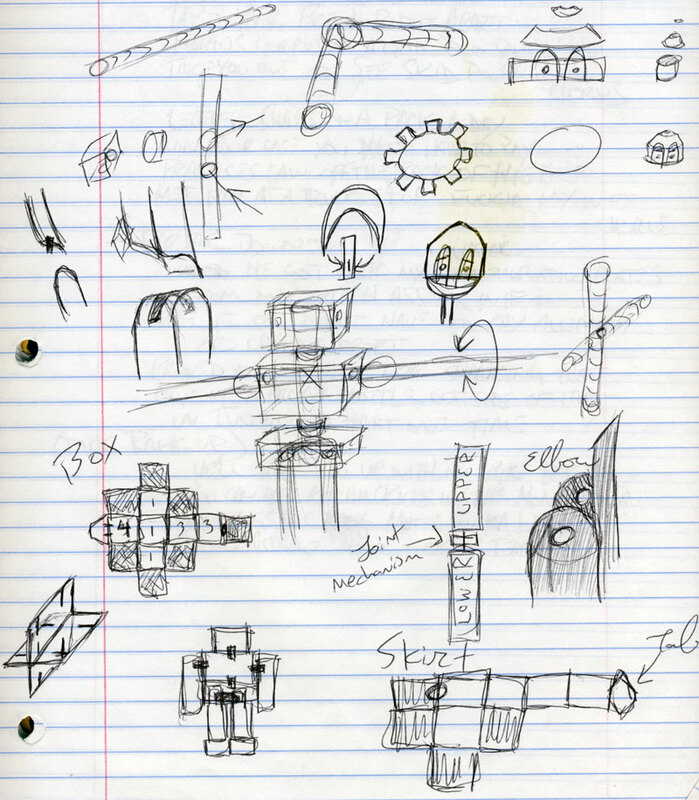 I think I eventually gave up when I needed a giant piece of paper to make one simple cube, assuming all the joint holes were a standard quarter inch wide. Looks like I wanted to use straws for the skeleton there. So, yeah, there you go. 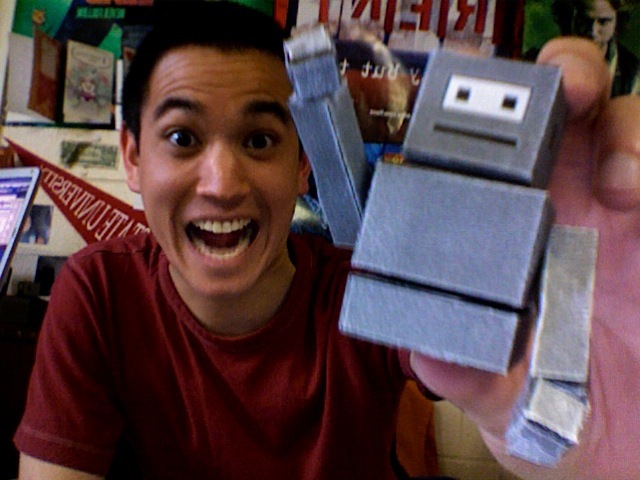 Paperbot! 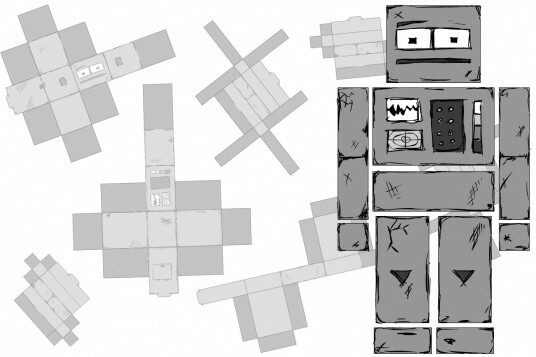 Posted on July 26, 2009 in Other and tagged abandoned projects, paper, paperbot, robots. hey I remember that phase! I remember having one of those in my house!!! I can’t believe it got tossed…poor Bot! !